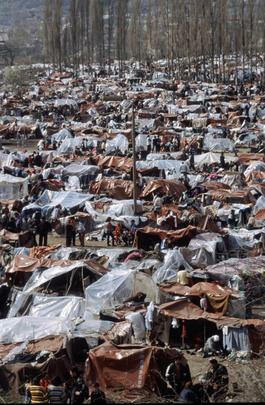 UNITED NATIONS, April 2 -- While the UN preaches the rule of law and right to remedies to its many member states, its own internal justice system is widely acknowledged as "broken." Staff can't sue in national courts, and in the UN's own system, cases remain pending for years, and results can be overturned or ignored by management. There are proposals for change, and on March 30, there was progress and little-noticed changes on a draft resolution, reportedly with momentum, entitled "Administration of Justice at the UN." 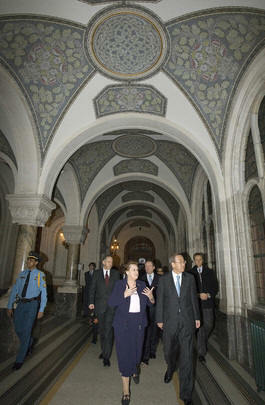 Even the Secretary General has supported the plan for reform, which includes additional staff posts. Some have speculated that the new jobs are a poison pill, added in order make the vote-down of the resolution more likely. Already the U.S. and Japan are complaining about costs. But as one staff member asked Inner City Press Friday in the UN cafeteria, how can the UN put a price on justice? And the waste occasioned by the current broken system can hardly even be counted. Secretary General Ban Ki-moon issued a formal note, dated Feb. 23, agreeing with the Redesign Panel on the UN System of Administration of Justice that "there are significant problems with the existing system of internal justice." That said, Mr. Ban's note disagrees that in the proposed new system, any punitive damages could be awarded, and urges that instead of "specific performance" -- ordering the UN to do something -- "the Dispute Tribunal should be required to set an amount of compensation that could be paid as an alternative to specific performance." In terms of consistency, it's worth noting that the International Labor Organization's Administrative Tribunal has to the power to order specific performance, without providing a merely monetary alternative. On the evening of March 30, meetings on the draft resolution spilled out into the smoke-filled Vienna Caf� in the UN's basement. A nine-page resolution was produced, which sketches a two tier system, of appeals from a UN Dispute Tribunal to a UN Appeals Tribunal. On the informal, alternative dispute resolution side, it proposes a "single, integrated and decentralized Office of the Ombudsman for the UN Secretari8at, Funds and Programs," on which we hope to have more. Close readers noticed that in its 36th and final paragraph, the date for "implementing the new system of administration of justice" was moved back a full year, to January 2009. Perhaps it will be like the Capital Master Plan to repair the UN Headquarters building, stretching now past 2012. Most telling, for a resolution coming out of the UN's budget committee, there were no dollar figures attached to the resolution. This means, in essence, that nothing has yet been resolved. And so for now the broken and arbitrary system will continue. Take for mundane example the case of Nicholas Christonikos, UN Administrative Tribune Judgment # 1250. The case concerned the classification, and thus remuneration, of Mr. Christonikos. While in most disputes reported to date by Inner City Press, the staff member lost out, here a favored staffer, who did not prove his case, was nonetheless awarded nine month's pay and $21,000 in so-called ex-gratia payments. While the stated approver was Netta R. Avedon, who previously appeared on this site signing off on bogus relegations to Medical Services for Pension Fund whistleblowers, the hidden power awarding this money, sources say, was none other than OHRM chieftain Jan Beagle. The internal UN politics surrounding Ms. Beagle continue to amaze. 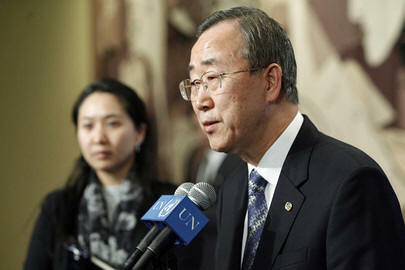 From the staff union there has been a vote of no confidence, a request for action from Ban Ki-moon. Insiders note that Ms. Beagle It was said, for a time, that Mr. Ban intended to move Ms. Beagle over to the Department of Economic and Social Affairs, DESA. Recently, Inner City Press asked Under Secretary General for Management Alicia Barcena if DESA's Guido Bertucci was suspended and then had the suspension revoked. An answer was promised; for now the wait continues. When the people supposed to set human resources rules themselves are the biggest rule breakers, a system can truly be called broken. The same is true on the west side of First Avenue at UNDP. There, human resources chief Brian Gleeson is reported to have sold job and promotions. Sources also encourage inquiry and disclosure on who in these offices have the requisite degrees, and for whom without the requisites the rules are being bent, including by Ms. Beagle. If the UN is broken, how can it preach? To be continued.